Andy is a member of the firm's litigation section, providing representation in commercial litigation and civil dispute involving international transportation, construction, landlord-tenant, personal injury, admiralty, and insurance. Born and raised in Texas, Andy received his undergraduate degree from Rice University in Houston and his law degree from the University of Texas Law School in Austin. 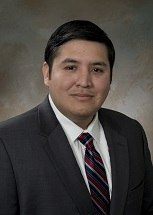 He began his career with a litigation practice in his hometown in the Rio Grande Valley with the law firm Atlas & Hall. Andy joined the Mills Shirley litigation section in 2011 as an associate. In addition to a general litigation practice in both trial and appellate courts, Andy focuses on matters involving interstate and international transportation, federal regulations, and maritime law. Andy and his wife Alanna live with their sons, Samuel and Simon, in League City. Representing companies in commercial supply contract disputes. Counseling companies regarding interstate and international transportation regulations. Representing owners and contractors in construction defect disputes. Defending insurers against claims of bad faith insurance settlement practices. Representing businesses in debt collection litigation. Representing businesses in contract disputes. Representing ship owners and marine suppliers and service providers in admiralty claims.